What a fun way to continue the spirit of Thanksgiving, blessings, and gratitude! 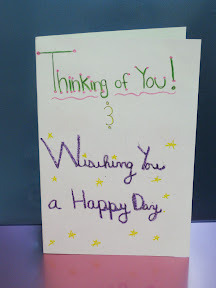 Come make a greeting card to share with someone in need of a smile! Mary C O’Brien Donations !! 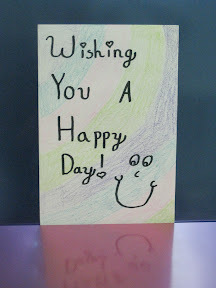 What an excellent example of creating on a dime… just a sheet of construction paper, crayons, and markers! What can you do with just a few art supplies? Supply Donations, Next Party, and… We’re Famous! So much has happened for Spark a Smile in the last few weeks! First, we got a great supply donation from “Miss” Mandie McKinley, over at Casa Grande Valley Newspapers, Inc. She provided us with some decorative scissors, cute paper, sparkly little embellishments, and more! Thanks for the goodies, Mandie! 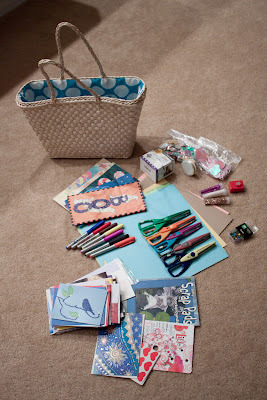 Are you cleaning out your craft closet? We can always use supply donations to share with local schools and charitable organizations who have partnered with us to Spark a Smile. We can use buttons, beads, rhinestones, stickers, brads, glitter, seashells, fabric scraps, paper cutouts, anything random or sparkly to add a little interest to an otherwise plain piece of paper. Last Thursday, November 12th, Spark a Smile made the front page of the Tri-Valley Dispatch Newspaper’s Valley Life section!! Check it out online! A few of the local schools have also signed on to participate in Spark a Smile. 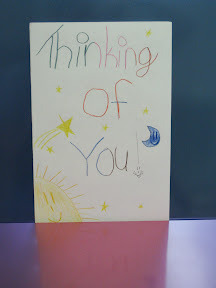 Mary C. O’Brien’s 6th grade class already donated a stack of cards (stay tuned this weekend for photos of their great artwork! ), and Pinnacle High School will be having several card-making sessions during Thanksgiving week! 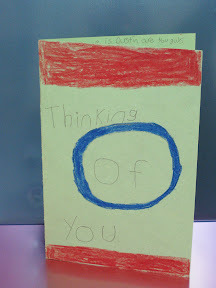 Please email me if you’d like to get involved showing the kids how to make cards – I’m sure they’d love the help! 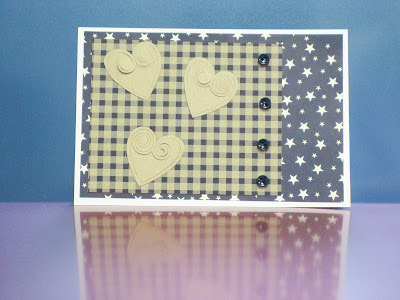 And, if you haven’t heard yet, our next card-making party will be an evening celebration: December 3rd, from 5-7 PM. Bring a friend to join the fun! Highlights from our First Card-Making Party! It was a success! 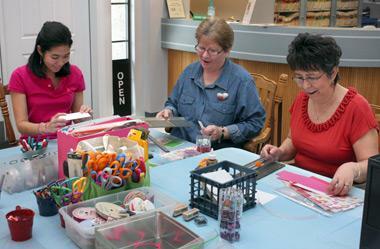 Last Friday we had a small group of card crafters, young and old(er). We met in our office lobby, set up our paper supplies, and went to work! We even had three Cuttlebug machines (for cutting and embossing) to play with! 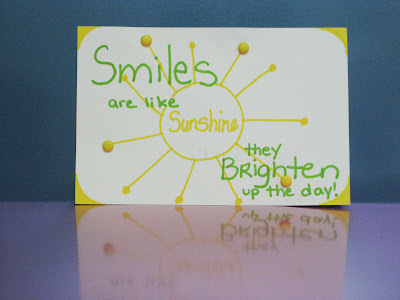 We crafted over 25 cards for Spark a Smile, but most of the fun was being able to get together, share ideas, and chat. 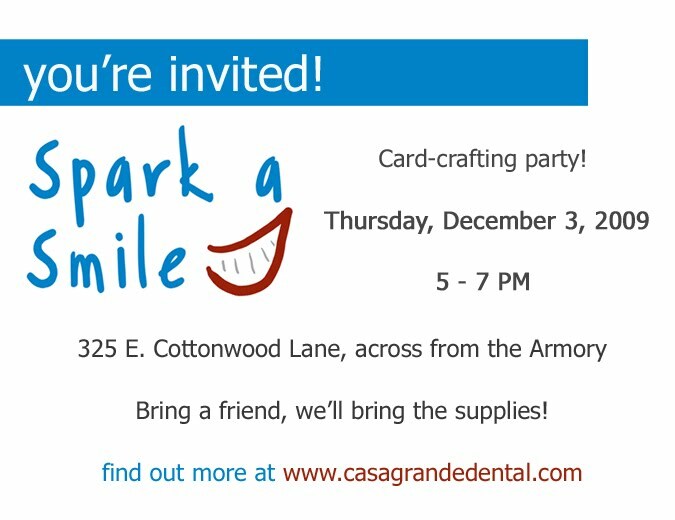 Our next party is planned for December 3rd, from 5-7 PM. Come join the fun! 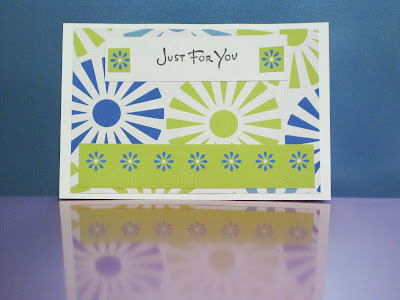 Here are just a few of the cards we created (check out our Picasa album to see the rest!). Today’s the day!! Our FIRST card-making event!! Come craft with us! Our office is right next door to ReMax and across the street from the Armory at 325 E. Cottonwood Lane. Between 11 AM – 1 PM, come and go as you please, bring your lunch if you’d like! And best of all… it’s FREE! See you there!